Lose weight with the Diet Plate | Is This Mutton? I am very cynical about the new diet books spawned every year in time for January 1 which use pseudo-science to convince us that their plan, whether it's low carb / low fat / low sugar / GI / Paleo / blood group (the list goes on) will change your life forever. 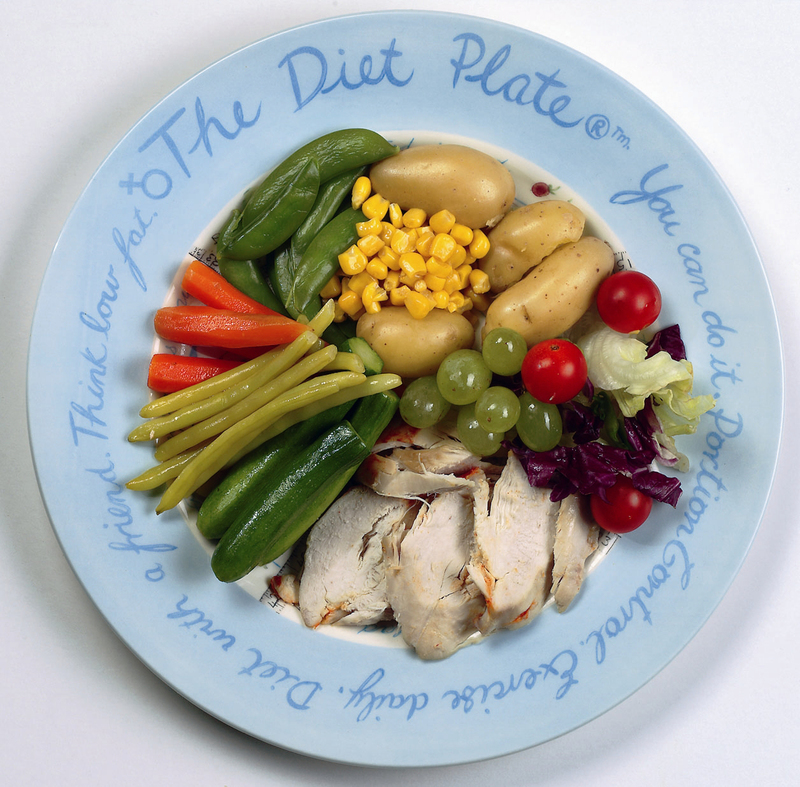 Portion control is one of the biggest challenges, which is why I am pleased to tell you about The Diet Plate. The advent of fast food and the ubiquitous "super sizing" habit has left young people thinking that giant platefuls of food and huge mugs of coffee sweetened with goo are normal. Half of all millennials is overweight. A sobering statistic, and today Public Health England revealed that they will spend all of their retirement in poor health. If families started changing their portion sizes, they would naturally become slimmer and healthier, without the need to "go on a diet." Here's how. The Diet Plate Perfect Portion Weight Management System shows you the right portion sizes, directly on the plate, for protein, starchy carbs and sauces with meat and cheese. These specifically calculated geometric areas represent a defined volume of food. It's clinically proven to help control Type 2 Diabetes, reduce weight or maintain weight. There are three versions of the plate: the female and children's plate and matching bowl will provide approximately 1200 - 1500 calories per day. The male version of the duo provides 1500 - 1900 calories a day. The cereal bowl provides you with a 200 calorie serving of any breakfast cereal and includes a quarter of a pint or 125m l of semi-skimmed milk. 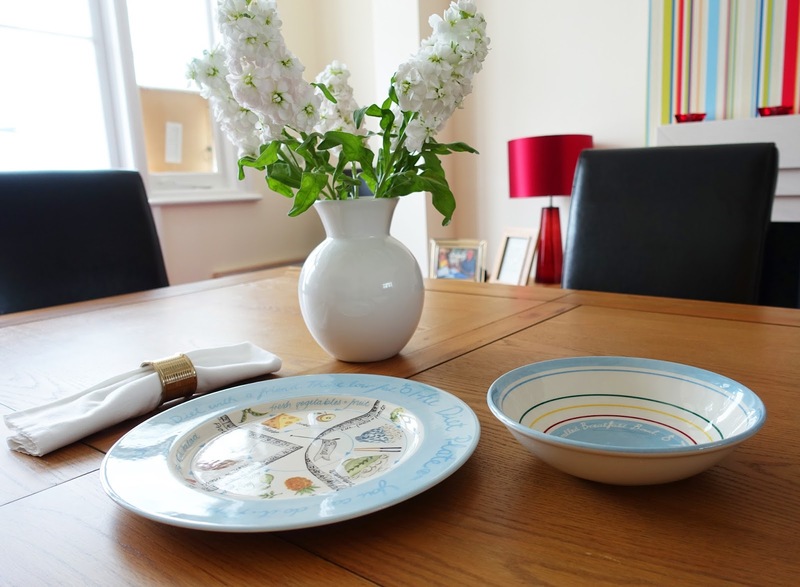 Each complete set (plate and bowl) is £31.99, or you can buy them separately - a boon if, like me, you never eat cereal at breakfast. In clinical trials, endocrinologist Dr Sue Pederson noted that "the weight loss we saw is similar to studies using weight loss medication but without the potential side effects, or the expense." Most "diet experts" these days sneer at calories and say you can eat unlimited quantities of whichever foods they're promoting in their books or online. But when all is said and done, if you add up the calories in the recipes they promote, you'll find they're all in the 1200 - 1500 calorie a day ball park for women. I grew up with calories and find there's no better way of measuring your intake and how much you burn up with normal living and exercise. Yes, you could if you wanted spend your daily calorie allowance on Mars Bars, but if you're invested in wanting a fit and healthy body with good skin and all the benefits that come from healthy eating, you'll be keen to have a minimum of five a day fruit and veg a day and enjoy a balanced diet that doesn't ban any major food groups. The plate itself is an object of beauty and high-quality earthenware which is dishwasher and microwave proof. The plate and bowl come with a comprehensive pamphlet that tells you everything you need to know. It answers questions like "what happens if I pile the food too high?" (a phenomenon regularly seen at those places which offer an "all you can eat" menu, along with small plates). Children aged four to 10 will love "The Magic Plate" that helps them achieve weight loss if needed, and teach portion control early. It has been cleverly designed with no mention of dieting, giving parents the option of either sharing the secret with their child or allowing them to enjoy their meals in blissful ignorance. The Diet Plate Online is a new personal dietary, exercise and weight management tool, tailored to your individual needs and programmed to work with metabolic rate. After answering some questions, it calculates your ideal weight and sets unique daily targets just for you. You can access the planner from all of your media (PC, tablet, phone). The subscription cost is £9.99 a month or an annual subscription of £100. 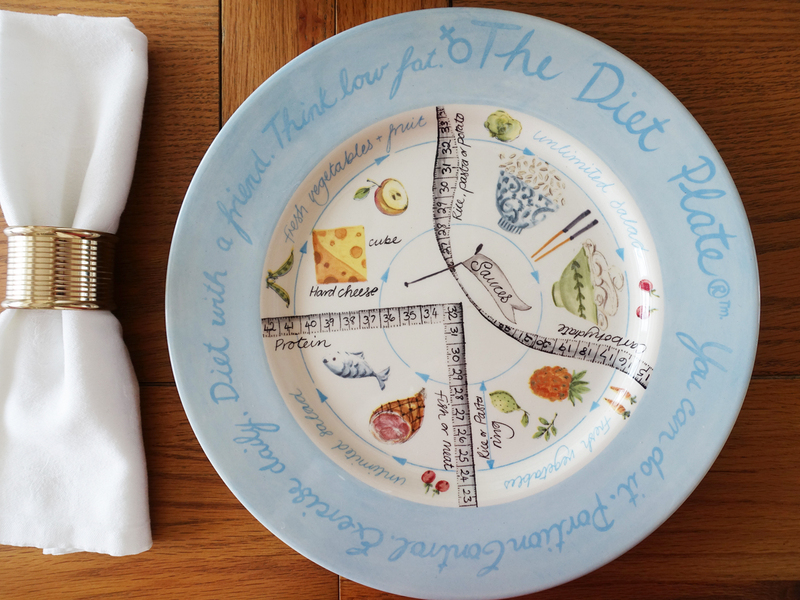 Visit the Diet Plate to buy the plate and/or join the online club. You'll also find success stories and blogs. It could be the best thing you ever do for yourself and your family. You can find the Diet Plate on Twitter and Facebook. Disclosure: I was gifted with a Diet Plate and bowl but my editorial is always objectively written. Sharing this post with Claire Justine's weekend blog hop, Saturday Share at Not Dressed as Lamb. and Rena at Fine Whatever. It's a much easier way to lose weight. Thanks for the visit Tasha! I like the idea of this plate, it would help me to eat more of the right foods too. Thanks for sharing at The Weekend blog hop. What a great idea. I have done the diet with the little containers and Weight Watchers and calorie counting and about everything else. This makes so much sense. It would be especially good for my PC to realize what a portion looks like!! Pinning all over the place.